Another wonderful benefit to Plantation Guest Membership is access to four legendary championship golf courses, world-class cuisine and beach activities for the whole family. 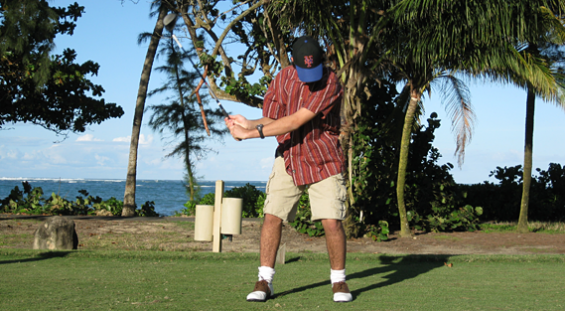 These “must-play” Puerto Rico golf courses run through lush jungle and oceanfront coconut groves, challenging golfers of all types. 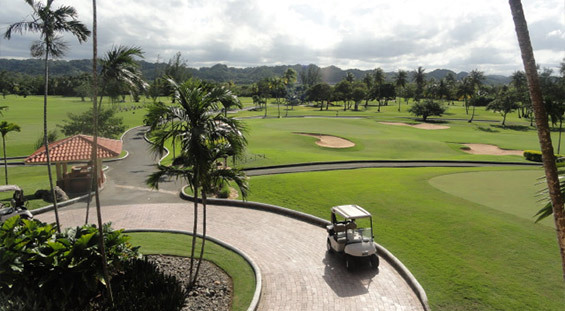 After one picturesque round at any of Dorado Beach’s four golf courses, you’ll certainly find out what this first-class Puerto Rico golf resort is all about. Original panoramic site lines of the Atlantic Ocean have been restored on 15 of 18 holes through an aggressive tree management program. 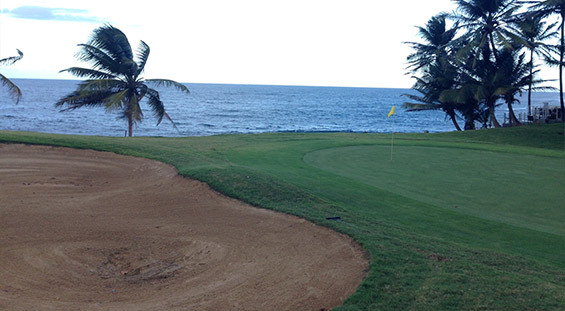 Native Puerto Rican sand harvested from surrounding beaches highlights the newly renovated and contoured bunker complexes. New ultra-dwarf Champion Bermuda greens support double digit green speeds with a premium number of hole locations on every green. A course layout that now stretches over 7200 yards, is as formidable from the championship tees as it is forgiving from the forward tee. 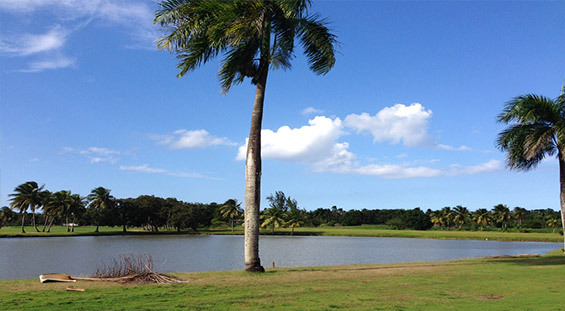 For the Dorado Beach West Course, Robert Trent Jones, Sr. built holes running in different directions, making the ever-present breezes off the Atlantic a challenge to negotiate, but ensuring that a round on the West Course will be one of the most picturesque on a Puerto Rican golf course. 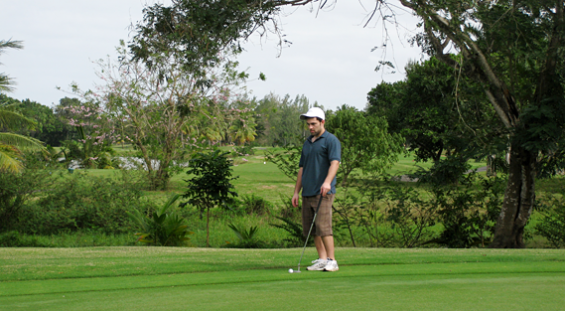 The four par-3 holes on Dorado Beach’s West Course are considered the toughest group of the four-course complex. Ranging in distance from 150 to 200 yards, they feature sloping greens and plenty of bunkers. The 175-yard, 13th hole is lined with palm trees while the green is in an oasis of rolling sand that seems to run right into the ocean. 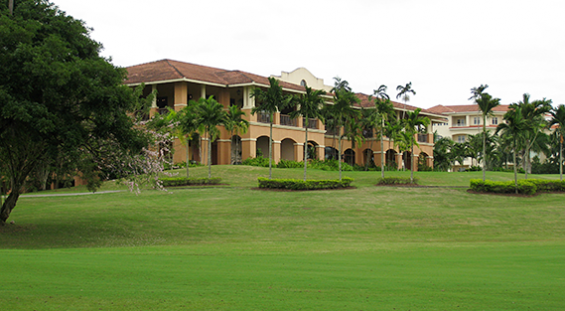 The Raymond Floyd Group renovated this course in 2002 keeping the original layout and vision of Robert Trent Jones, Sr. while providing all the on-course amenities of a first-class Caribbean golf resort. 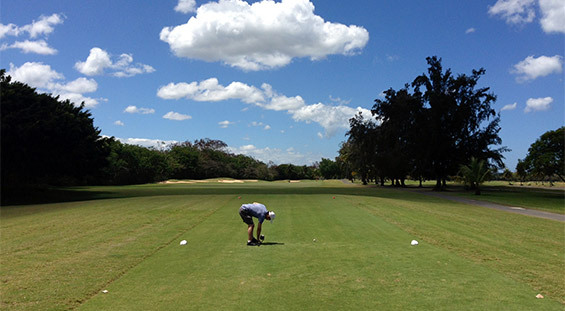 The Dorado Beach Plantation Sugarcane Course is the more challenging of the two Plantation courses at this Caribbean golf resort, although it boasts larger fairways and greens. The course features more forced carries and deeper bunkers that can penalize you for an errant shot. 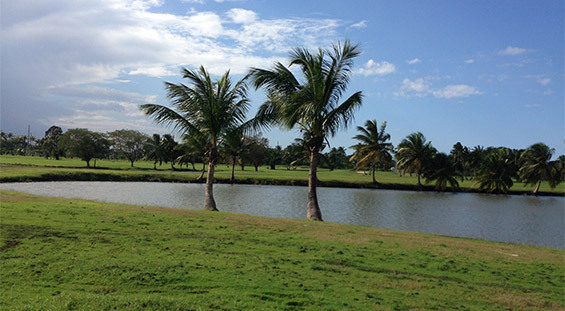 The back nine is surrounded by newly created rivers and lakes and offers a much different look, never seen at the old Cerromar and Dorado Courses, making this a hidden gem amongst Puerto Rico golf courses. Players have an opportunity for birdies early in the round, but par is a great score on most every hole on the back nine. The new 50,000 square foot, $5 million clubhouse awaits golfers after their round. Whether it be for a cold beverage with your foursome, a magnificent meal cooked to order, or simply to relax on our deck that provides great views of the golf course. 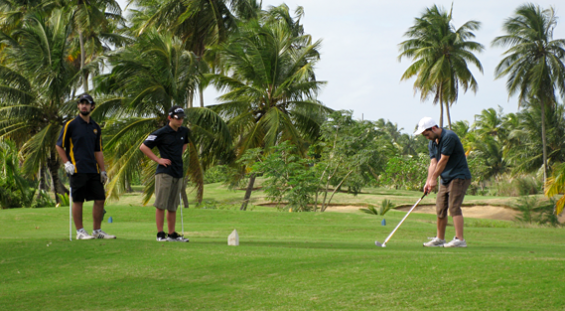 The Plantation Pineapple Course was designed to be the more friendly course for golfers at this Caribbean golf resort. The course has fewer forced carries, the bunkers are not as deep and the greens are slightly larger. 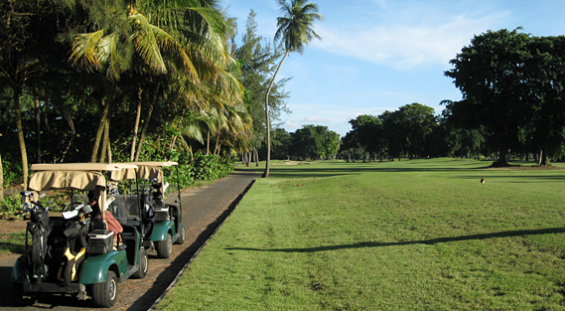 The back nine of The Plantation Pineapple Course consists of four holes with an ocean view, followed by a tough five-hole stretch culminating with a fantastic par four, 18th hole, that finishes up on a green that is just below the clubhouse terrace. 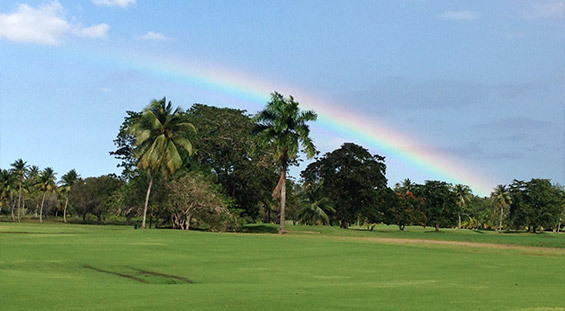 We promise that you’ll enjoy the majestic beauty on one of Puerto Rico’s finest golf courses. 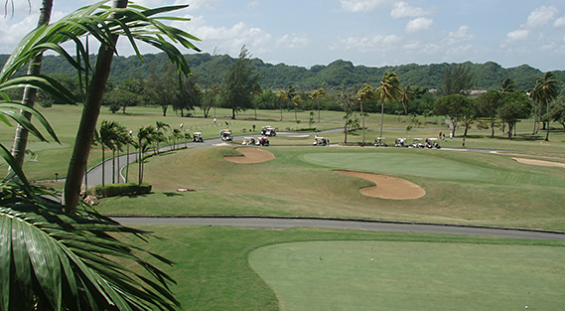 Play one course or play all four, and enjoy the Caribbean golf experience of a lifetime. 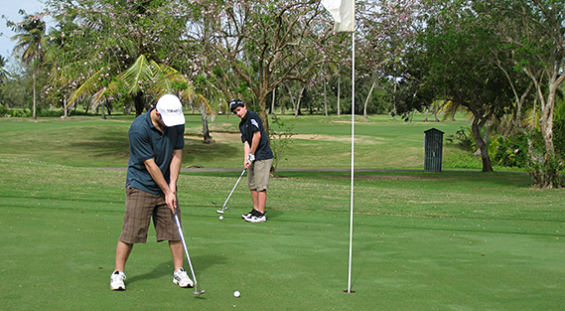 Ask us about access to Plantation Club Guest Membership.